Canada Day is just around the corner, which means your go-to clinic might just be closed. Even though everyone across Canada will be busy celebrating, you never know if you’ll need to see your doctor or pick up a prescription from your local pharmacy. Well, you’re in luck! iamsick.ca’s easy-to-use website or app can quickly help you find the healthcare information you need! This Canada Day, you will be able to effortlessly find the holiday hours for about 90% of various healthcare professionals as soon as you need them! Sound interesting? Read on to learn about how our healthcare platform works. When something unexpected happens and you need to see your physician as soon as possible, it’s not always easy to find their holiday hours. With a click of a button, you can use our accurate and complete holiday hour coverage to find what you need, including holiday hours for a wide-range of healthcare services. Along with providing holiday hour info, iamsick.ca offers an incredibly useful platform that connects patients to a wide variety of healthcare providers including clinics, pharmacies, community health centre, diagnostic labs, etc. With a simple search option, you can find a physician who speaks your language, who works after hours, who is available on weekends or generally fits your needs. Once you’ve found the physician or healthcare provider that you need, you can use our flexible online booking system to effortlessly schedule an appointment. You don’t need to wait on hold on the phone to book an appointment anymore. You can also take advantage of the Waiting Room Concierge which will place you in a queue and notify you when it’s almost your turn for your schedule appointment. You can avoid those long and often irritating amounts of time that you would normally have to spend in the waiting room. We’re continuously expanding our physician holiday hour coverage across Canada, and offer a wide range of convenient filter options so you can find the exact healthcare service you’re looking for! Check out our services here to learn more! 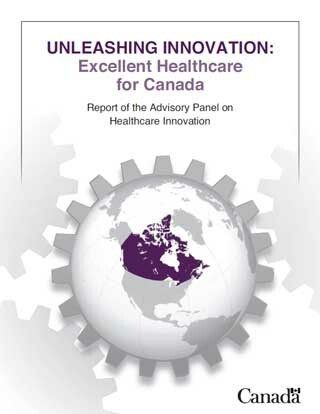 Identify the five most promising areas of innovation in Canada and internationally that have the potential to sustainably reduce growth in health spending while leading to improvements in the quality and accessibility of care. Recommend the five ways the federal government could support innovation in the areas identified above. industry as an economic driver and innovation catalyst. Should the agency be created, the HIAC will be an arms-length organization supported by the Healthcare Innovation Fund. The agency will support national collaboration across pan-Canadian organizations. In particular, the Canadian Foundation for Healthcare Improvement, the Canadian Patient Safety Institute, and the Canada Health Infoway will be included in HIAC. The Healthcare Innovation Fund’s general goals are to “support high-impact initiatives proposed by governments and stakeholders; break down structural barriers to change; and accelerate the spread and scale-up of promising innovations”. Rather than a formulaic allocation of funds, the Healthcare Innovation Fund will be allocated based on transparent specifications, measurable healthcare outcomes, and economic and social value. iamsick.ca is pleased to see the efforts being made to promote and encourage healthcare innovation in Canada. 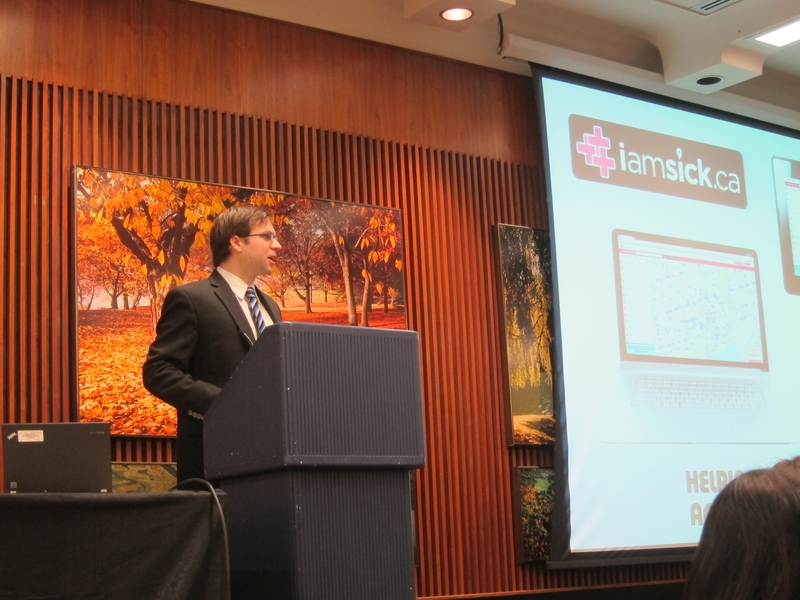 Improving healthcare outcomes and fostering innovation is at the core of iamsick.ca’s work. In particular, we are encouraged to see the spirit of collaboration and partnership embodied throughout the report. We look forward to seeing new developments and measurable changes as the federal government moves forward with these recommendations. No-shows, or missed appointments, are a costly and unfortunate reality for many healthcare providers in Canada. In 2014, 90% of surveyed Canadians expressed a desire for online appointment booking, yet only 7% of Canadian family physicians offered it. This falls far below the 66% of Swedish physicians and 30% of American physicians who offer online appointment requests (2012). The number of online bookings increased by 32%. 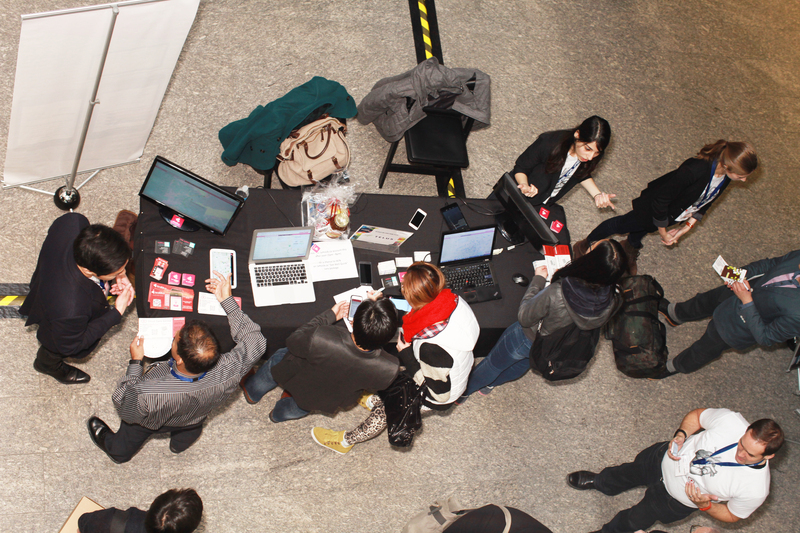 The number of users/registrants also increased. Patients perceived three major benefits: scheduling flexibility, time savings, and automated reminders. The e-booking system’s automated appointment reminders (via telephone, e-mail or text message) proved to reduce the number of no-shows experienced by each clinic. The study found that an overwhelming majority used the online appointment booking system to book appointments for themselves rather than for a relative. In 2015, still fewer than 10% of Canadians can book family physician appointments online. This number can be improved. For more information on the benefits of e-booking and Infoway’s work in promoting the tool across Canada, take a look at our previous blog post. Canadians are ready for a change, and we’re here to help. iamsick.ca‘s e-booking platform was designed to integrate with clinic workflows and software. With complete EMR-integration, appointments booked online can effortlessly appear in your scheduler. Reduce no-shows, time spent managing phone-calls and improve clinic efficiency with valuable analytics. If you’re interested in offering e-booking in your clinic or pharmacy, contact us at partners@iamsick.ca for more information. Digital health solutions provide us with numerous benefits. Recently, Canada Health Infoway explored how digital health solutions can improve healthcare, including e-visits and the ability to view test results online. What’s most interesting to us is their take on e-booking, and the benefits that it offers to patients and healthcare providers. Simply put, using e-booking can help clinicians run a more efficient practice. 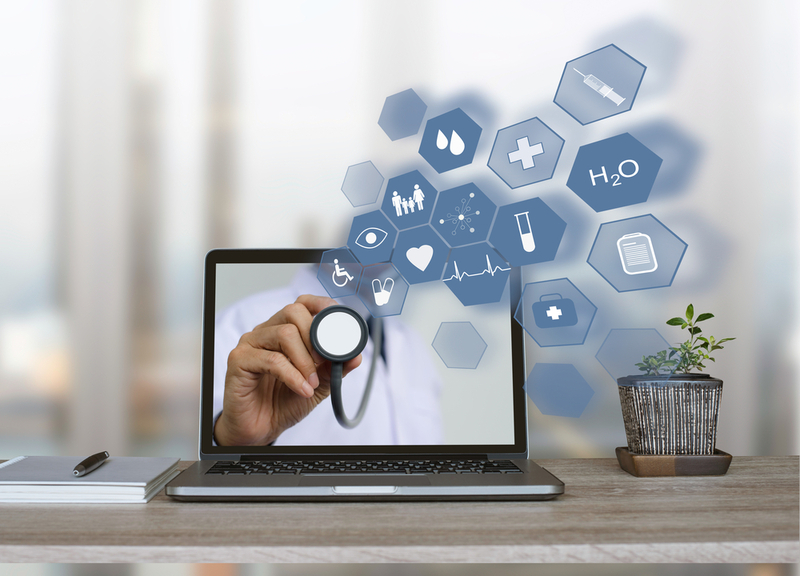 More importantly, e-booking allows patients to take control of their health by giving them tools to connect with healthcare providers, when and where they need it. Most clinic software, referred to as electronic medical record (EMR) software, do not offer the ability for patients to book appointments online. That’s why we designed and built an e-booking platform that can integrate with existing clinic software. In the future, if EMR software companies offer their own e-boking service, our system can complement their service to offer patients choice and additional functionality; like our virtual waiting room, healthcare system wayfinding, and other services that we’re building. The first is our integrated e-booking platform. This platform integrates with existing scheduling module of EMR software to create a seamless workflow. Appointments made on iamsick.ca will automatically sync with the clinic’s calendar. The second service is a stand-alone e-booking service that lets patients book appointments online without EMR software integration. The third service is an appointment e-request service that lets patients request appointments online, and allows for a level of interaction between the patient and clinic staff to help find the best time for an appointment. Are you a patient who is itching to booking appointments online? If you have a doctor who doesn’t yet offer e-booking, please visit book.iamsick.ca and fill out the form at the bottom of the page to let us know your doctor’s contact information. 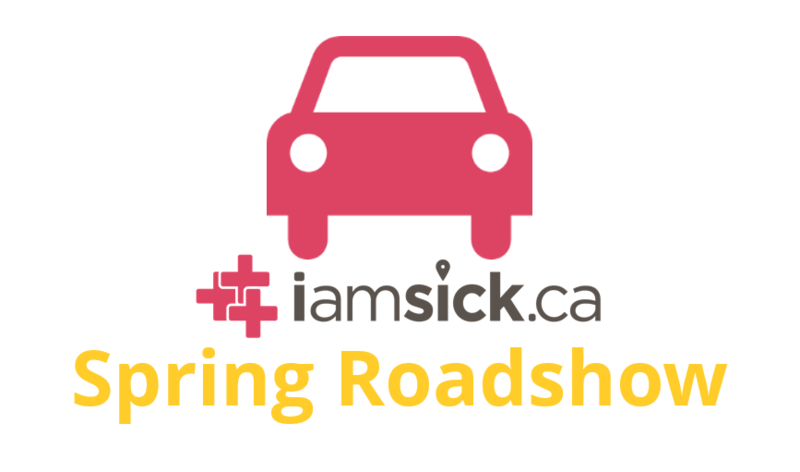 We will follow-up with your doctor to let them know about the benefits of iamsick.ca e-booking at their clinic. If don’t have a family doctor and want to book appointments online, you can also use iamsick.ca to search for family doctors accepting new patients. And, some of these family doctors, as well as some primary care walk-in clinics, accept online appointment booking using iamsick.ca. Are you a healthcare provider who wants to improve the patient experience in your clinic? Contact partners[at]iamsick.ca to schedule a demo and learn more about how the iamsick.ca e-booking platform can help you. #HealthKick2015 – We are ready! It has been 10 weeks since we were announced as finalists at this year’s MaRS HealthKick 2015 Showcase. Since then, our co-founder and president, Ryan Doherty, has been hard at work with our team and advisors to create the perfect pitch. The showcase is tomorrow, and we’re more ready than ever! We are a young, up-and-coming startup that is ready to take on the challenge of helping patients navigate the healthcare system. Ryan’s vision to connect patients with appropriate care drives the team to improve our platform and find new ways to help Canadians to maneuver across the confusing healthcare landscape. Recently, we’ve even started exploring features that will improve the delivery of healthcare – from our virtual waiting room to same-day/same-week advanced access. At HealthKick, we are seeking angel round investments. If successful, the investments and opportunities will help us grow and spread the platform across different disciplines, and across Canada. We are looking forward to see you at HealthKicks 2015. Good luck to our fellow finalists! iamsick.ca will be at the second Annual Primary Care Day this Friday, March 27, 2015. The event is presented by the Mississauga Halton LHIN and MIssissauga Halton Primary Care Network. Primary care providers will have an opportunity to chat with our co-founder, Ryan, and the rest of our team about our platform. In late 2014, we started working together with Mississauga Halton LHIN to bring patients better access to timely and appropriate care. A core element of our platform is helping patients see relevant information. We believe that will help them find the right care at the right now. We have been working hard with MH LHIN prepare features that will help patients and health care providers in the Mississauga-Halton region. Health care providers will be able to use iamsick.ca to update any facility information, including holiday hours, after hours, and any contact information that is included in our system. This feature was designed with flexibility and convenience in mind. It is important to us that health care providers can easily update their patients with the most up-to-date and accurate information. Each healthcare facility’s holiday hours will be prominently displayed. We understand there are challenges around holiday surges. These challenges can burden hospital emergency departments, while patients risk not receiving appropriate and timely care. With this feature, we hope to address these challenges. Patients will be able to view holiday hours and visit the appropriate care provider for their medical needs over holidays. Similar to our Holiday Hours feature, we are also displaying after hours recommendations for primary care clinics. We know that each care provider wants to make sure that patients are receiving the best care. This means providing patients with the right after hours information, in the event they may require medical attention outside of regular business hours. 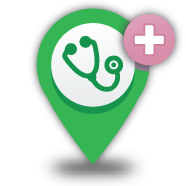 We look forward to presenting our new features on Friday at the Primary Care Day conference. Attendees will be able to try out these new features, provide feedback, and learn about how to use iamsick.ca to enhance their practice.